We spy a big trend for 2019 already and it is… the egg! After becoming the most liked photo ever on Instagram it also features in the new Spring / Summer 2019 campaign by Givenchy appearing alongside models who are given directions by an off-screen voice: ‘Yes, egg!’, ‘And up, and down’. 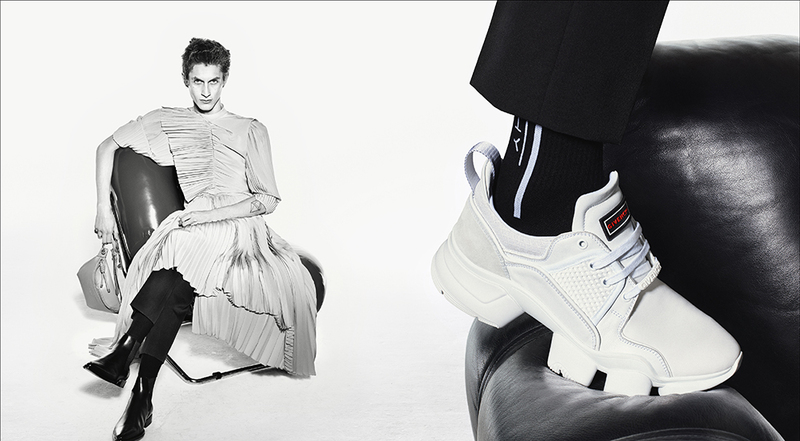 Jokes aside, the stills campaign – shot by Steven Meisel in collaboration with Givenchy artistic director Clare Waight Keller – is a showcase of strong and androgynous models blending the boundaries of gender with a male model appearing in a dress in one of the shots. The video was filmed during the photo shoot and both remind us that fashion is always and forever a question of perspective. Nothing is ever exactly as it seems and the surreal elements like the egg are a beautiful and subtle reminder of that.